Brian Mason says Prentice is obliged to call in police. EDMONTON - Alberta's opposition NDP is calling on Premier Jim Prentice to make sure there is no criminal wrongdoing in the case of a caucus member accused of bribery in a heated nomination battle. NDP critic Brian Mason says as the highest public official in Alberta and someone with knowledge of Edmonton member of legislature's Naresh Bhardwaj's nomination race, Prentice is obliged to call in police. "The government's position is basically that if anyone makes a criminal allegation against a member of the government, that it's the PC party rather than the police and the courts that determine the matter," Mason told reporters Tuesday. "That's the most breathtakingly arrogant thing I've heard in 25 years in politics." Bhardwaj is facing accusations in a sworn affidavit that he and another man offered $10,000 to a person in his Edmonton Ellerslie riding to help disqualify a rival for the Progressive Conservative nomination. Bhardwaj has denied the accusations and is now suing his accuser, Balbir Sidhu, for defamation in civil court. He has relinquished his job as associate minister for persons with disabilities until the PC party concludes its investigation. Both Prentice and Bhardwaj, in written statements, have referred to the accusations as potentially criminal. "I have been made aware that Mr. Bhardwaj has filed a statement of claim against the individual making a criminal allegation against him," Prentice said in a statement issued last Friday. In his statement of claim, Bhardwaj alleges Sidhu's statements imply Bhardwaj "has engaged in fraudulent or criminal acts." Prentice told reporters Tuesday that he was made aware of concerns over the Edmonton Ellerslie race on Feb. 19. 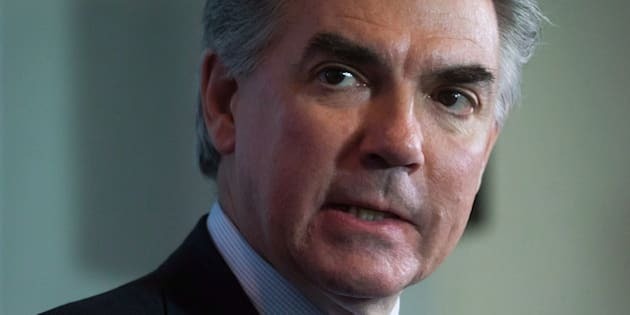 "I immediately forwarded those concerns to my counsel and they've been attended to (by the counsel) since," said Prentice. He said he is content to let the party handle the issue internally. "The party is looking into this right now to make sure that the nomination process was fair," he said. "That's the party's responsibility." Bhardwaj, meanwhile, reiterated that he expects his name will be cleared. "The allegations are absolutely false. I'm vigorously defending them," said Bhardwaj. A reporter asked him if the police should be called in. "The matter is in front of the courts and there will be no further comment," he replied. Mason said the NDP has not ruled out filing its own complaint with city police if Prentice doesn't. "If he fails to do that, then I think that it's really important that Albertans know that he is not doing his job, and then we'll decide what we're going to do," said Mason. Bhardwaj, 55, is a two-term legislature member and has been acclaimed as the nominee for the riding. He had been set to run against rival Balraj Manhas for the PC nomination in the riding on Feb. 21. Sidhu, a Manhas supporter, said in a sworn affidavit he was offered $10,000 to say that his name had improperly appeared on the nomination papers of Manhas. Manhas said the PC Party called him two days before the nomination vote, telling him his papers had irregularities and asked him to drop out of the race.